While receiving the Algerian delegation participating in the festivities celebrating the 45th anniversary of Polisario Front creation, President Ghali said that "the Algerian revolution is our example, that's why we are convinced that the victory is close." 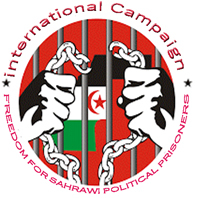 "The Sahrawi people still believe in the justice of their cause," stressed Ghali. On this occasion, Ghali hailed "the unflinching position of principle of Algeria in favour of the Sahrawi cause, it has adopted since the Moroccan occupation of Western Sahara lands,"
"This position has never been shaken despite the difficulties and conspiracies it faced." Regarding the latest Moroccan allegations aiming at involving Algeria and Iran in Western Sahara conflict, the Sahrawi President said that they are the result of " Morocco’s disappointment following its setback at both UN and AU," saying that those "nervous reactions, attempts of deformation and deliberate inventions do not prevent us.” from continuing resistance.